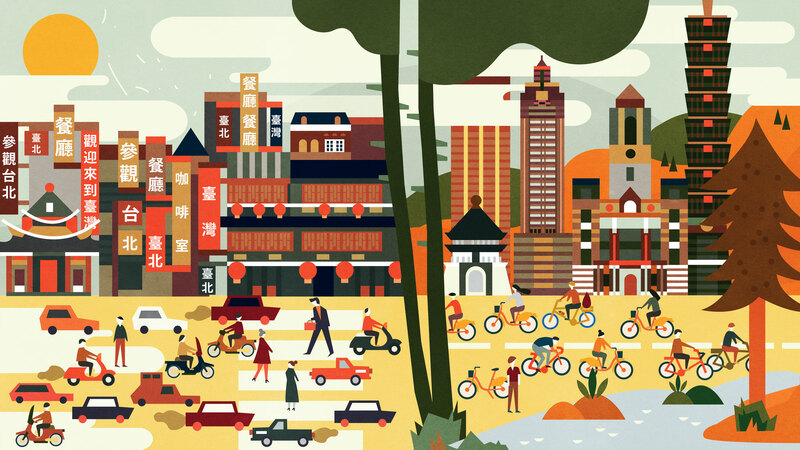 VanMoof bicycles illustration about the city of Taipei, Taiwan. Back in the day Taipei was a dangerous city to grow up in, with many cars and busy roads everywhere. But nowadays the city changed. 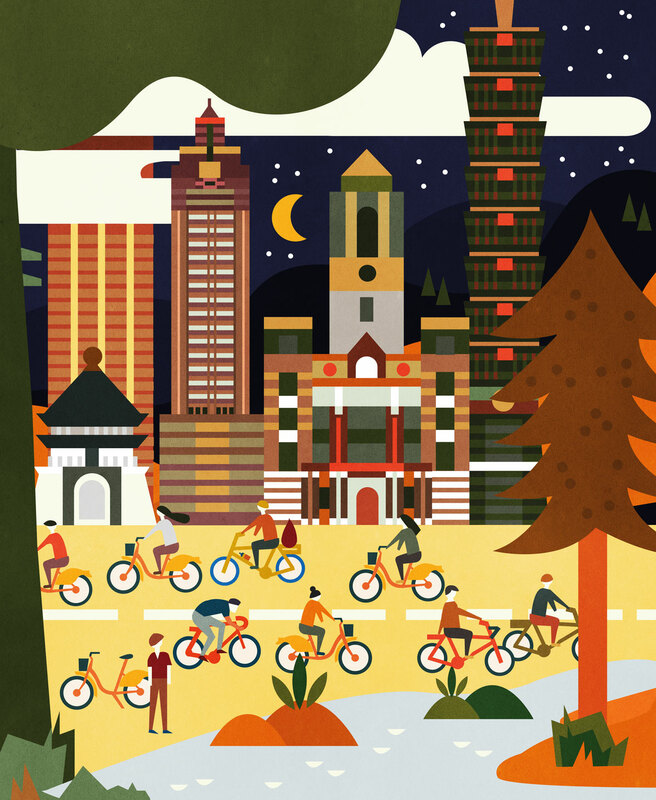 It’s modern and clean, and the city is supporting people who like to go by bike to their destination. 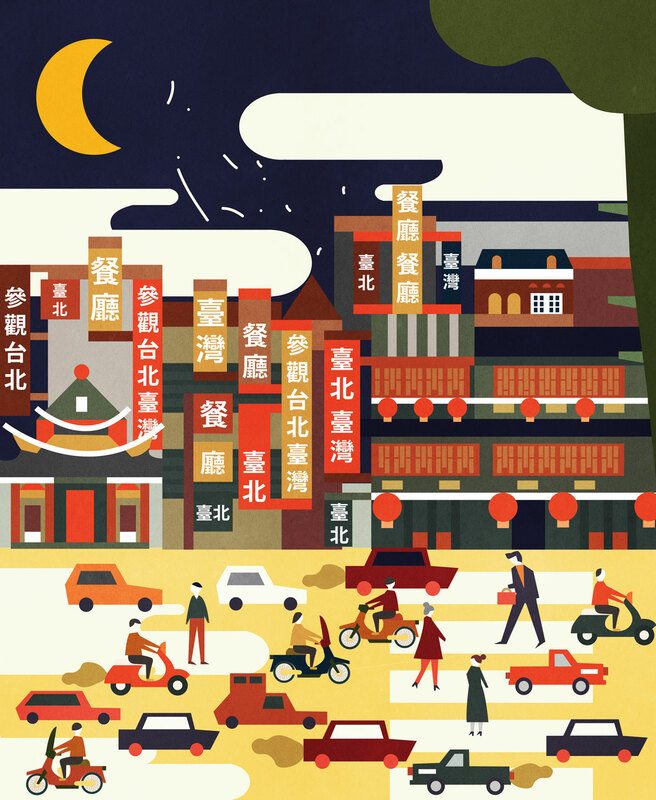 The left part shows old and busy Taipei, and the right shows modern day Taipei.